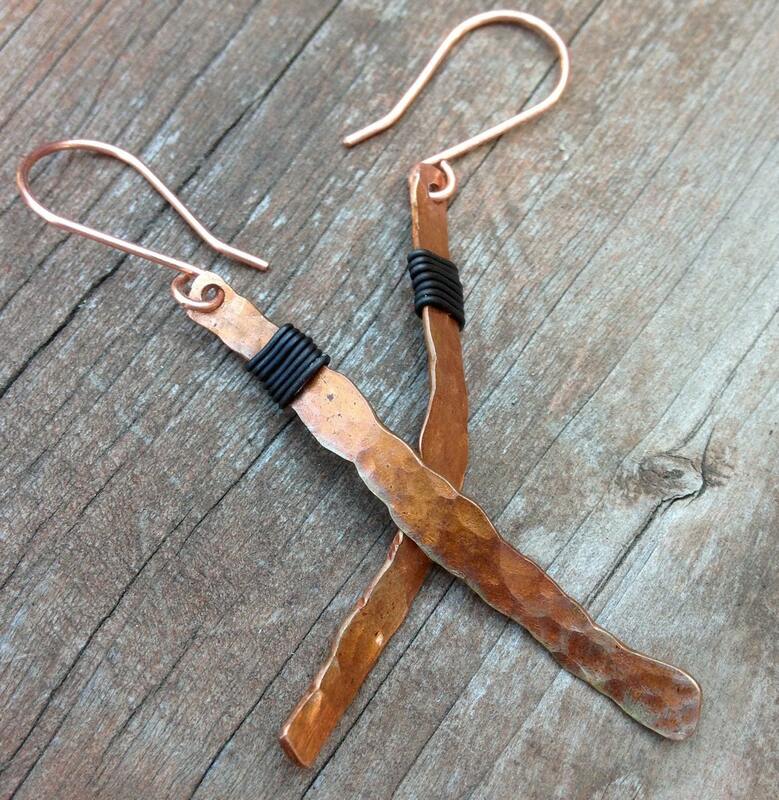 These great copper earrings were hand forged from 14 gauge copper wire. I hammered them down flat and then textured them with my hammer. The asymmetrical shape is what happens when you let the copper shape itself. After shaping, I ran my torch over it to give the wonderful rich colors. That's called fire painting. I added a good coat of acrylic to protect the metal and the color. 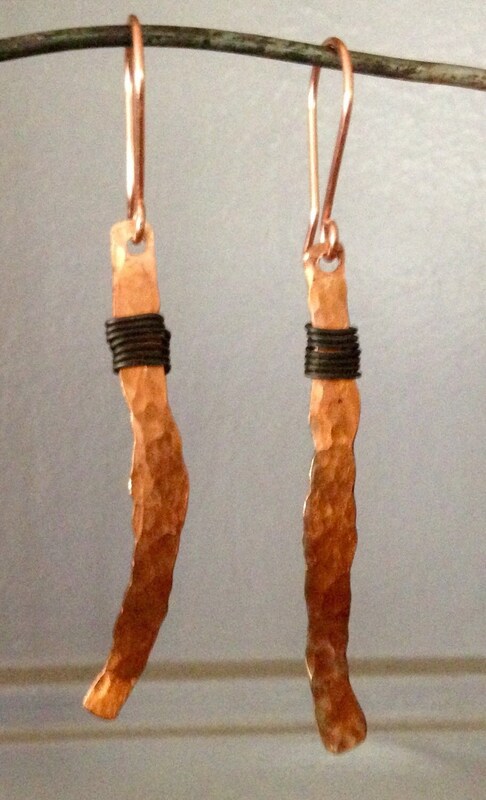 I added a wrap of annealed steel for contrast. 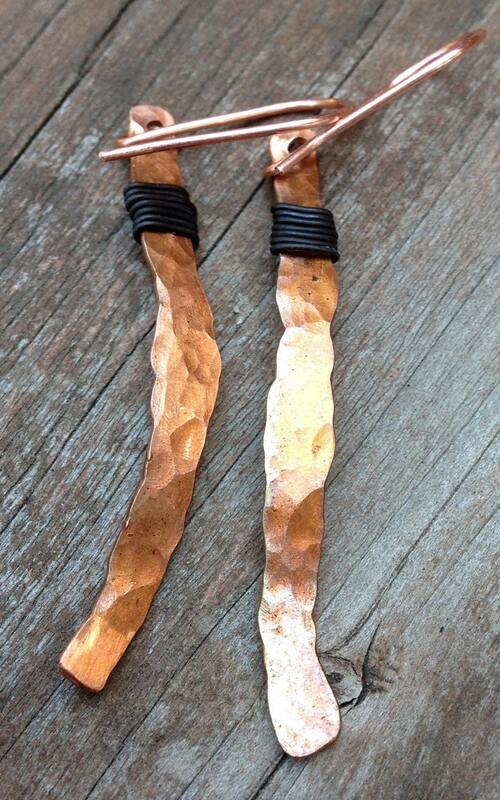 The ear wires are handmade from 20 gauge bare copper. Length from the top of the ear wire is 2 3/4".